I’m a HUGE fan of Chimay beer. The tastes are divine. I just tried for the first time the Chimay Triple. What a great taste with aromas of banana, pear and even caramel with a hoppy taste. This beer goes great with meats and seafood. I give it a 9 out of 10. 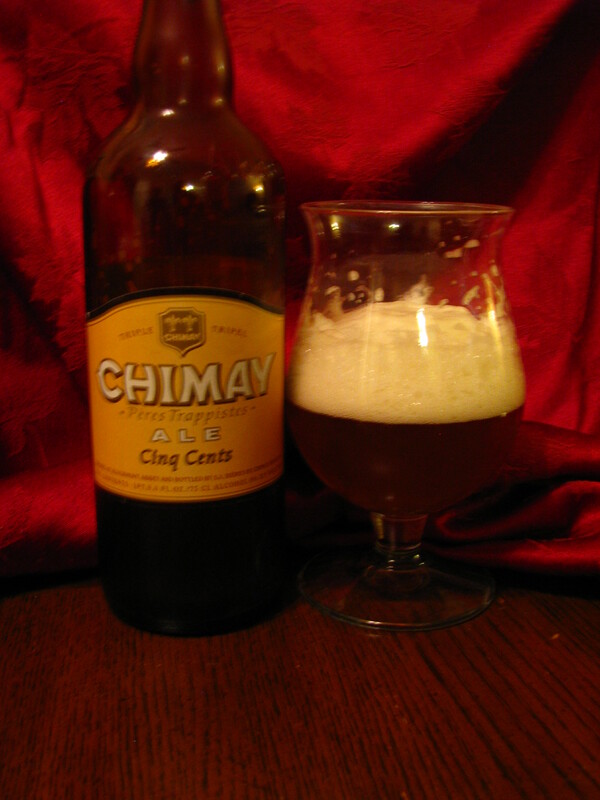 Chimay is a must try beer. Belgian triple beers are very good. They’re strong and have a lot of taste. Huge fan of Chimay! Found it in Holland years ago, along with Duvel…a must try…very glad to find your blog as well.